Happy Monday everyone! What a great weekend to be coming down from, summer is definitely in full swing. Philly was full of activity and beautiful weather and I took advantage of it at every turn. I think the heat is taking a toll on my cat, Luna, though :(. We spent Sunday at an emergency vet appointment because she keeps falling over and can’t seem to maintain her equilibrium. Fingers crossed that it’s only an ear infection and isn’t something neurological. She’s still being her snuggly loving self though, so at least there is that! 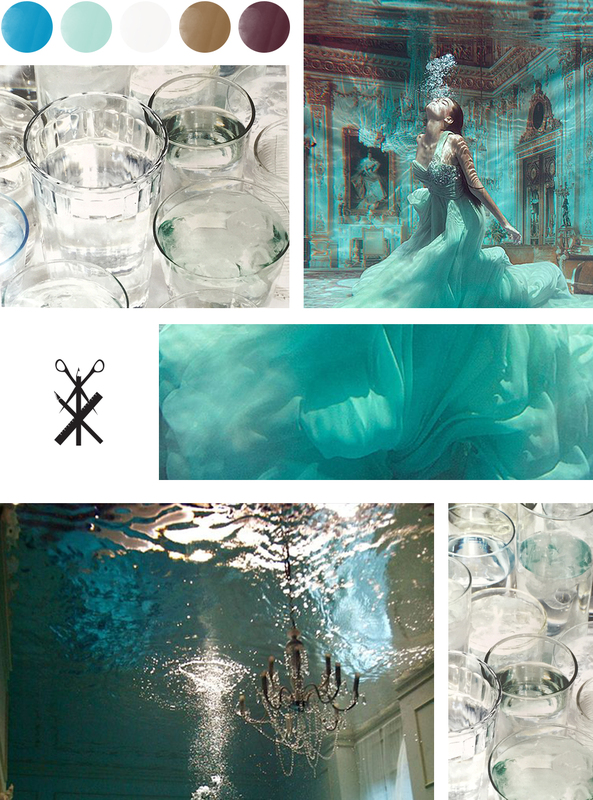 This week I’m working with a dramatic color palette inspired by surreal water scenarios. Vibrant, light, blues are amped up by a deep gold and maroon + a fresh almost-white to keep things crisp. OH I like this!! Gorgeous!! !